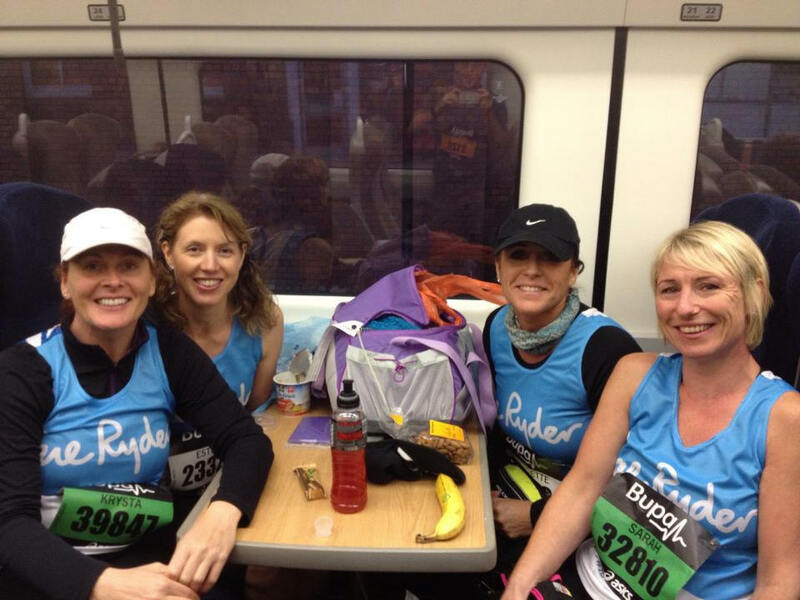 So having watched the GNR on TV last year, Sarah, Bernie, Krysta and myself felt inspired to do it and the planning commenced…. 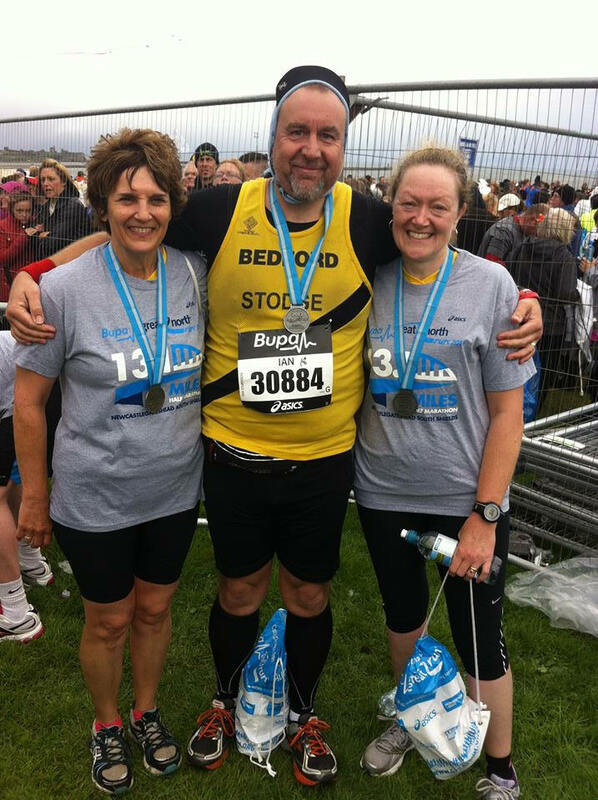 Sarah was lucky enough to get her own place in the ballot but the rest of us were unsuccessful so we decided to run for a charity, Sue Ryder St John’s Hospice. That’s the amazing hospice where I work and where my lovely gran was cared for back in 1997. It’s a place close to Krysta’s heart too as she sadly lost a very special friend there and is grateful for the wonderful care she received. The day arrived and at 3am Krysta turned up on my doorstep ready to go with her hair in a turban and a pillow in her hand! Shame she forgot her gels but at least she was well prepared for the journey. My hubby Dave had very kindly offered to drive us as far as Darlington and even managed to borrow a BMW X5 so we could travel in style. The traffic on the A1 was light and we made excellent progress so had time to stop for coffee and loos on the way, arriving in Darlington in good time for our train onto Newcastle where we were greeted with a chilly wind but fortunately no rain. We set off with hundreds of others towards the start line and dumped our bags off on the red buses. 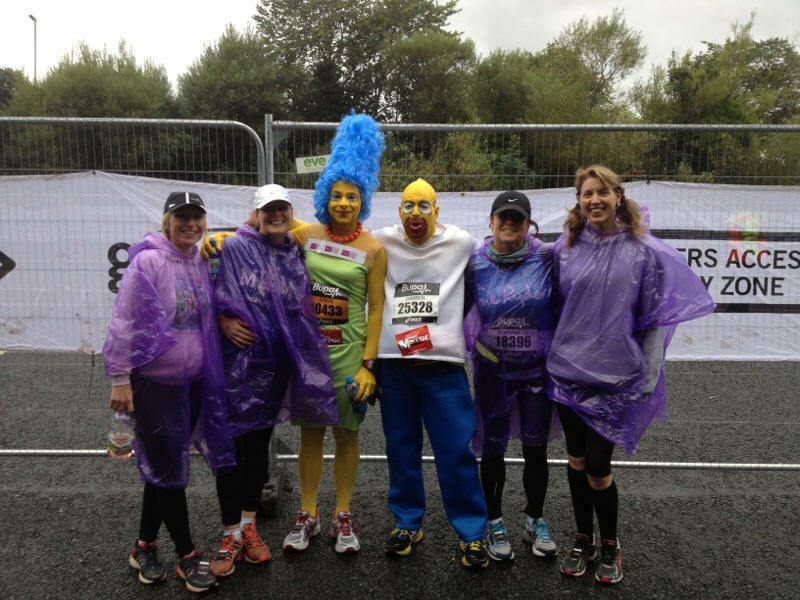 We even had time to celeb spot at the start line and had our pic taken with Marg and Homer! We looked very fetching in our purple ponchos which helped keep the wind off a little. 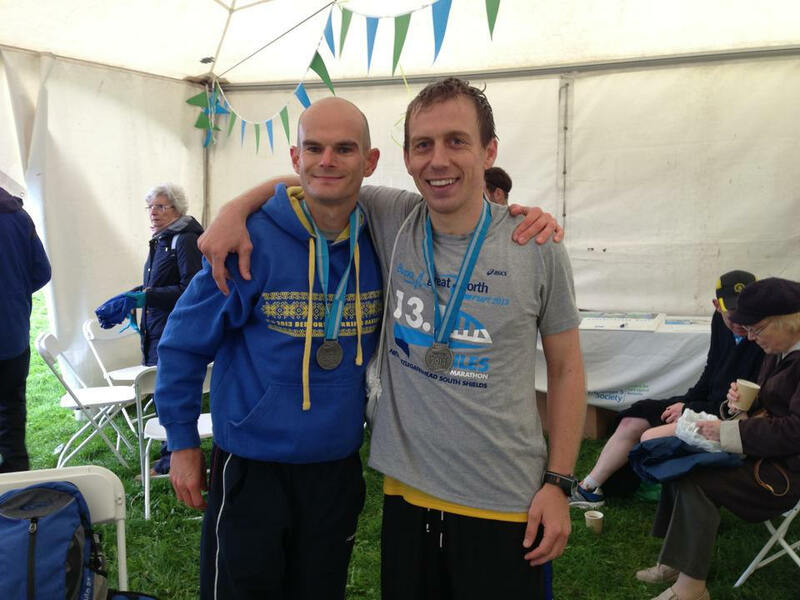 The group warm up was good fun and soon we were off…..well I say off, it took 30 minutes for us to cross the start line. We disgarded our lovely ponchos and old hoodies and began our 13.1 mile journey to South Shields. The rain shower didn’t even dampen our spirits as we joined in with the roars of “oggy oggy” with the hoards of other runners and when the red arrows soared overhead it was a very special moment. Mile 4 saw us stop for a toilet break but luckily the queues weren’t long so not too many precious minutes were lost. Before we knew it we were halfway and all still in good spirits. The locals were out in good force with offerings of oranges, sweets and ice pops. The lively bands and the Elvis impersonator helped when we started flagging around mile 10. We had to dig deep as none of us had gone further than this in training. The biggest milestone for me was seeing the sea in South Shields knowing we only had a mile or so to go. Here the crowds were several deep and in good voice. It was a pretty emotional moment for us all.